A Guardianship trial is the final stage of Guardianship Litigation when the Court must ultimately decide whether or not one’s parental rights should be terminated. During trial, DCP&P must prove a four-part test by clear and convincing evidence. The attorney for DCP&P, a Deputy Attorney General, will present documents and call factual and expert witnesses to prove the Division’s case. In addition, the child’s attorney, a Law Guardian, will argue on your child’s behalf. Parents are also entitled to representation during a Guardianship Trial and if you are scheduled to attend trial, you should contact an experienced and knowledgeable DCP&P defense attorney to discuss your case. The DYFS defense lawyers at the Tormey Law Firm LLC are ready and able to assist you in dealing with the Division of Child Protection and Permanency (known as “DCP&P”) in New Jersey. Protect your rights, your family, and your future: contact our experienced DCPP defense lawyers today for immediate assistance at (908)-356-6900. The initial consultation is always provided free of charge. We represent clients dealing with DCP&P investigations throughout Morris County, New Jersey including Dover, Mount Olive, Denville, and Parsippany. A Guardianship trial is a bench trial. That is, there are no juries during a guardianship trial rather only a judge will decide whether or not DCP&P has proven by clear and convincing evidence that your parental rights should be terminated. The “clear and convincing” burden of proof falls between the lowest burden of proof, a “preponderance of the evidence” and the highest burden of proof, “beyond a reasonable doubt.” In re Perskie, 207 N.J. 275 (2011). New Jersey case law describes the clear and convincing standard as a requirement that the evidence should produce “a firm belief or conviction as to the truth of the allegations sought to be established.” In re Purrazzella, 134 N.J. 228 (1993). That is, clear and convincing evidence must be “so clear, direct and weighty and convincing as to enable [the judge] to come to a clear conviction, without hesitancy, of the truth of the precise facts in issue.” In re Seaman, 133 N.J. 67 (1993). In fact, because of the elemental nature of the parent-child relationship and because severing that relationship is among the most severe and irreversible forms of state action, all doubts must be resolved against termination of parental rights. N.J. Div. of Youth and Family Servs. v. D.S.H., 425 N.J. Super. 228 (App. Div. 2012). N.J.S.A. 30:4C-15.1 creates a four-prong test that the Court must apply to decide whether or not DCP&P’s petition to terminate your parental rights has been granted. The first prong is “the child’s safety, health or development has been or will continue to be endangered by the parental relationship.” N.J.S.A. 30:4C-15.1(a)(1). The second prong is “the parent is unwilling or unable to eliminate the harm facing the child or is unable or unwilling to provide a safe and stable home for the child and the delay of permanent placement will add to the harm. Such harm may include evidence that separating the child from his resource family parents would cause serious and enduring emotional or psychological harm to the child.” N.J.S.A. 30:4C-15.1(a)(2). The third prong is “the Division has made reasonable efforts to provide services to help the parent correct the circumstances which led to the child’s placement outside the home and the court has considered alternatives to termination of parental rights.” N.J.S.A. 30:4C-15.1(a)(3). The fourth prong is “termination of parental rights will not do more harm than good.” N.J.S.A. 30:4C-15.1(a)(4). During a Guardianship Trial, DCP&P will present documents into evidence including but not limited to screening summaries, investigation summaries, contact sheets, and reports from service providers such as substance abuse counselors, individual therapists and family therapists. In addition, the Division will call factual witnesses and expert witnesses such as psychologists and psychiatrists who will testify regarding your parental fitness and the nature and quality of the bond between you and your child. 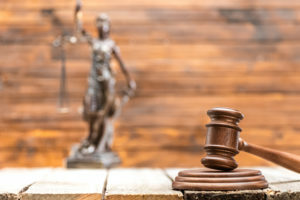 Importantly, the parents are permitted to object to the Division’s documentary evidence and to cross-examine the Division’s witnesses and it is important that you are represented by an experienced DCP&P defense attorney who is familiar with the Rules of Evidence that apply during Guardianship Trials. In addition, parents can call their own witnesses and present their own documents into evidence. If you are named as a defendant on a Guardianship Complaint and the Division of Child Protection and Permanency is seeking to terminate your parental rights at a Guardianship Trial, you should consult with a seasoned and knowledgeable DCP&P defense lawyer to discuss your case, your rights, and your defense. Contact our Morristown offices now for immediate assistance at (908)-356-6900.